I write, yet again, from the laziest of weekends. Yes, midterm season is somehow already upon us, and in order to even get to the comment-writing part I had to finish all the grading. So it seemed like a good idea to stay home, and I have to say I'm pretty dang proud of my accomplishments so far. 15 Big History assignments and 28 comments remain, and the deadlines feel so much less ominous, and I still have three hours to kill in various ways before our latest Downton Abbey marathon commences at Lina's. So I thought I'd do a little writing. 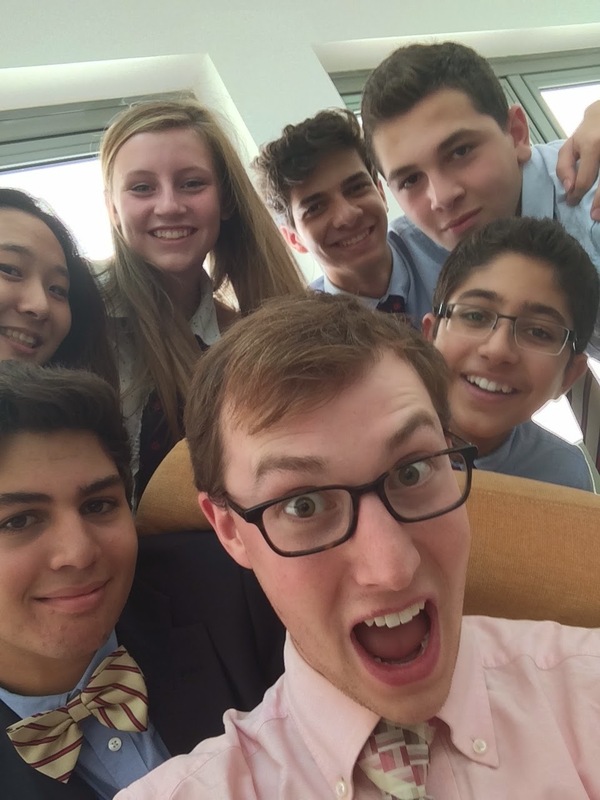 Mr. Ben with his advisees. Took an awfully long time to finally take the selfie, but I'm pretty happy about it. Speaking of advisees, I forced them all to download this app that tracks how well you sleep and wakes you up with a biologically calibrated, phenomenally gentle alarm. This is my pride and joy so far: last night's 95% sleep, which I hope to share with my advisees and lord over their heads while they exhaust themselves with homework. Seriously, though, the goal is to make some actual progress and get them to actually consider their terrible terrible sleep habits, so I hope this can galvanize them into action. Cooking! 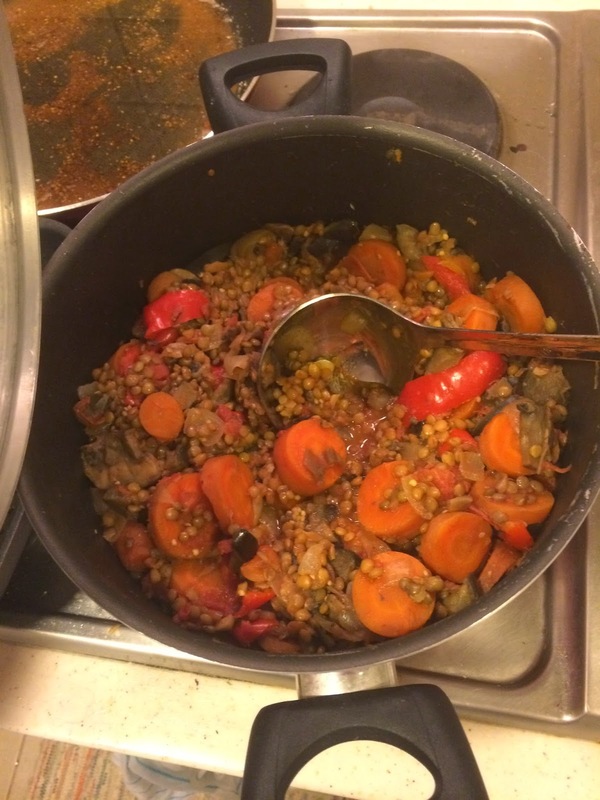 Top is a lentil stew made by yours truly; bottom is a paella made by Lina's truly. I had no part in the bottom one but it was delicious and we ate it while watching four straight episodes of Downton. It's really one of the only things I've been doing for the last couple weeks. It will be weird when we're caught up (hopefully by tomorrow!) and the marathon days are behind us. Looking forward to some more tea tonight. Kittens! When I left my house for dinner in between 3 hours of grading and 3 hours of reading alone on my couch, I was greeted by this adorable sight. Look at em! The mom is in front and the babies are behind (there are actually 4 in total). They're even fluffier in person. I guess the wild cat situation at this school isn't all bad. The one thing I'm really proud of this weekend (well, besides all the work I've gotten done). Finally busted out my beautiful Shabbat vase and actually lit candles, and even had company to do it with (you can see Mike's leg in the background there). Jordanian vintage port and some local bread made perfectly good substitutes for the real thing, and it just felt so nice and comfortable and homey to do a little celebrating together on a Friday evening. Here's hoping I keep remembering to actually do it. And also I'm gonna need more candles. Well, duty calls, I think: laundry and other such weekend duties before I head to Lina's to bang out some more grades and watch some more British people totter around. No school tomorrow because of a Professional Development day; I can handle that. And in two weeks it'll be October break and I'll be in the Balkans, which is pretty hard to wrap my head around. Life certainly moves fast enough around here; sometimes it just rocks to slow it down and just sit and think and read and write for a weekend. Til next time.